As creatives, we are expected to be thought leaders in a variety of ways for a variety of industries. But who leads the thought leaders? Whether you are leading a creative team or want to be a respected member of the creative community, you need the tools to get there. Being a leader of creatives means creating an environment for creativity to emerge. You push. You encourage. You question. You see the big picture. How do you build a personal brand without losing the personal part? Often you may feel like you need to be someone other than yourself when you’re in a professional setting. Building a personal brand can be organic but the best ones are built authentically and strategically. Once you know who you are and what you stand for, your reputation will speak for itself. Whether it’s the stilettos you choose, what you say on social media or how you choose to move up the corporate ladder, it all matters. Those pieces of your personality are what make it possible for you to create lasting relationships with influencers in your industry. ABOUT NAKITA: Nakita M. Pope is the Chief Chick and Primary Brand Strategist of Branding Chicks, a boutique branding studio in Atlanta, GA with clients all over the United States. Branding Chicks specializes in brand strategy, development, consulting and management for women-owned businesses and female-focused brands. She helps businesses, large and small, to brand or re-brand to attract and grow customer bases for new products and professional services through custom, creative, relevant brand-promoting strategies. During the past 20 years, she has worked as a strategist, graphic designer, creative director and brand manager, which has given her experiences that inform how she works with her clients. Her passion for brand strategy is also evident through her teaching advertising strategy, branding and design at the Creative Circus for the past 10 years. Nakita is a graduate of Hampton University in Hampton, Va., where she obtained a Bachelor of Art degree in graphic design. She then went on to a graduate design program at The Portfolio Center (now Miami Ad School) in Atlanta, Ga.
She lives in Atlanta and is involved in several professional and nonprofit organizations including AIGA where she is a board member and education committee co-chair for the Atlanta chapter. Also, she is a member of the National Diversity and Inclusion Task Force. In addition, Pope serves on the Board of Directors Vice President of Smart Girls on Campus and is a board member of Good Thinking Atlanta. 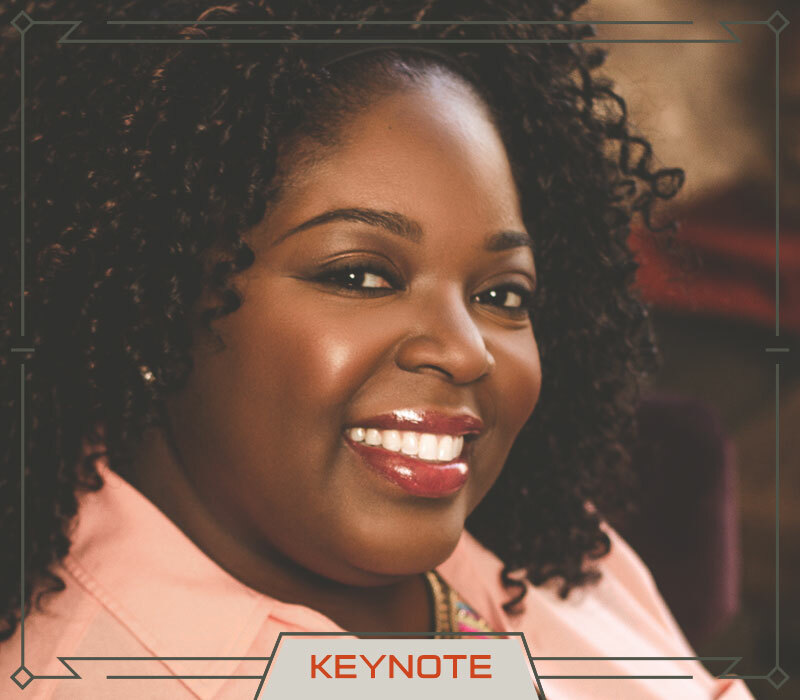 She gets to share her knowledge and experiences with a variety of audiences on the national speaking stage for organizations like BBDO Atlanta, The One Club, Public Relations Society of America Georgia Tech College of Business. As always, her goal is to wield her crayons for good.